Every homeowner with wall coverings is very watchful when it comes to scratched, stain and grease that sometimes appear on their vinyl wall coverings. Most wallpaper manufactured today are said to be washable. However, despite cleaning instruction, some vinyl wall coverings are not that easy to clean and still depend on its style and texture. No matter how careful you are, if you have kids at home, the spots and marks will still appear eventually. 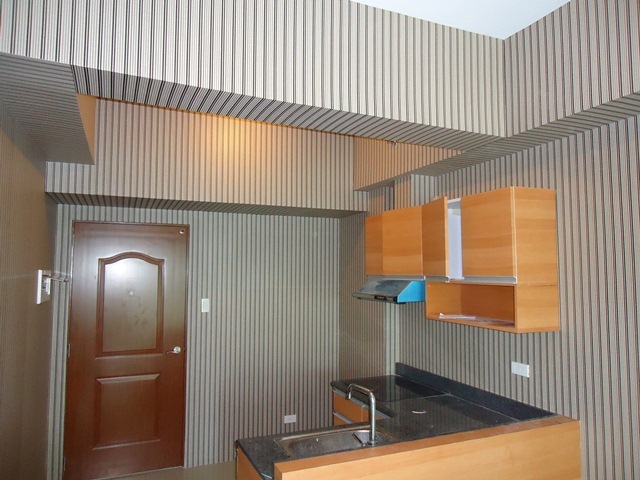 Our client from Las Piñas City opted for simple style of vinyl wallpaper for his Condo unit. 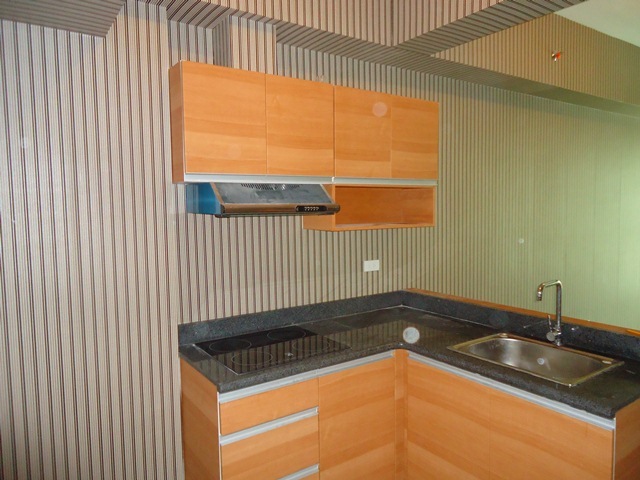 The wallpaper was installed on his kitchen and he said that there is no need to worry about grease and scratches because the material is durable enough for his kitchen. Wallpaper especially in a kitchen is hard to keep clean because grease and food particles that eventually end up on the wall is unavoidable. If you discover a grease spot that is obviously been on your vinyl wallpaper for a while, you can still successfully remove it by making a mixture of dish-washing detergent and warm water, and gently wipe the spot. Repeat the cleaning process until the grease spot is gone. If a soft towel and a dish-washing liquid is still not effective in removing the stain or grease on your vinyl wallpaper, use soft bristle toothbrush and dish-washing detergent mix with warm water so you can successfully remove the stain and grease on your precious vinyl wallpaper. Alternatively, you can use vinyl wallpaper cleaner that can be found in the market, but more likely it would not be as effective as dish-washing detergent in warm water for dish-washing detergent contains de-greaser, which can remove greases on your vinyl wallpaper in a mild way. Always put in mind that the longer the marks and spots remain on wallpaper, the harder they will be to remove, so it is very important to inspect your wall covering every cleaning time. 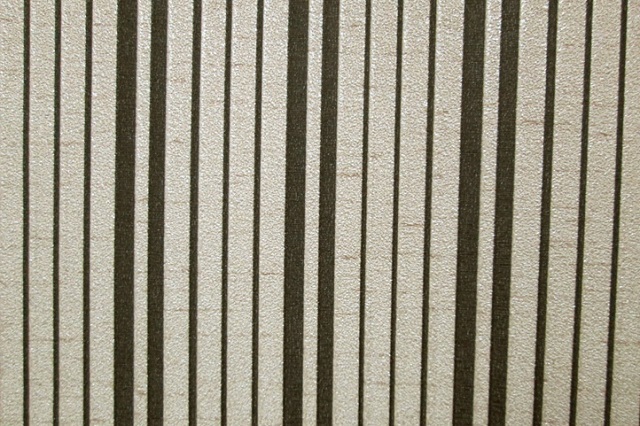 DS Windows and Walls offers different textures with different designs of wallpaper. To view the different designs of wallpaper online, visit www.wallpapaperphilippines.dswindows.com. You can also check it personally by visiting our kiosk at 2nd level Pacific Mall, Lucena City, 3rd level Robinsons Metro East, Pasig City and 4th level Waltermart, Makati City. You can also inquire by sending us email at inquiry@dswindows.com or call us at 0916-311-3909 / (02) 893-1373 / (02) 403-3262 / (02) 668-9668. Please like our Facebook page at www.facebook.com/blindsphilippines.